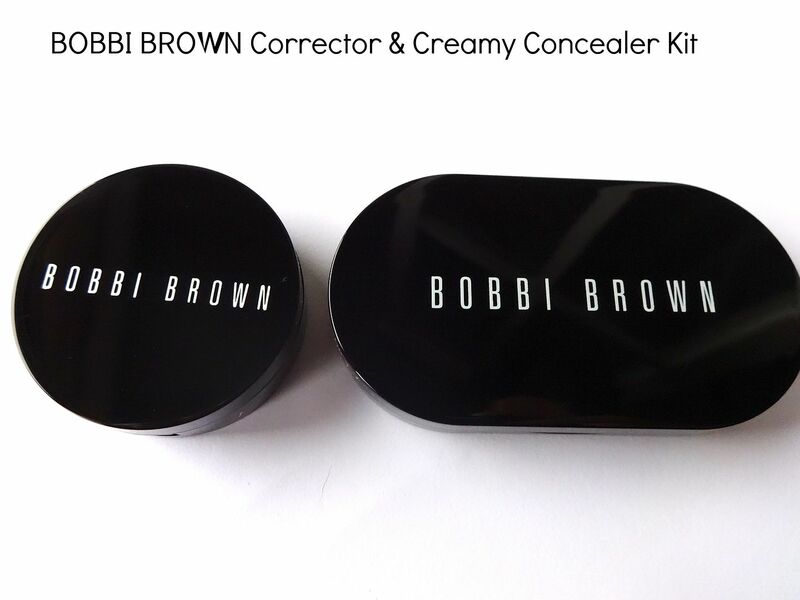 Bobbi Brown Corrector - A wake-up call for tired eyes. Corrector is pink- or peach-based to neutralise under-eye darkness and is designed to be used before Creamy Concealer. New and improved formula is long-wearing and brightens dark circles with quick, just-right coverage that's easy to blend and won't crease. And since great makeup starts with healthy skin, Corrector is infused with skin conditioners to protect the delicate under-eye area. 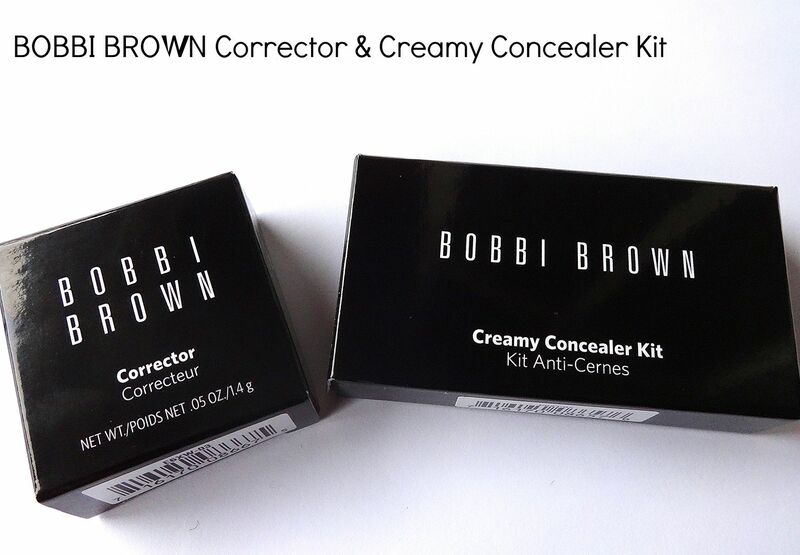 Bobbi Brown Creamy Concealer Kit - Conceal and set in one portable kit. 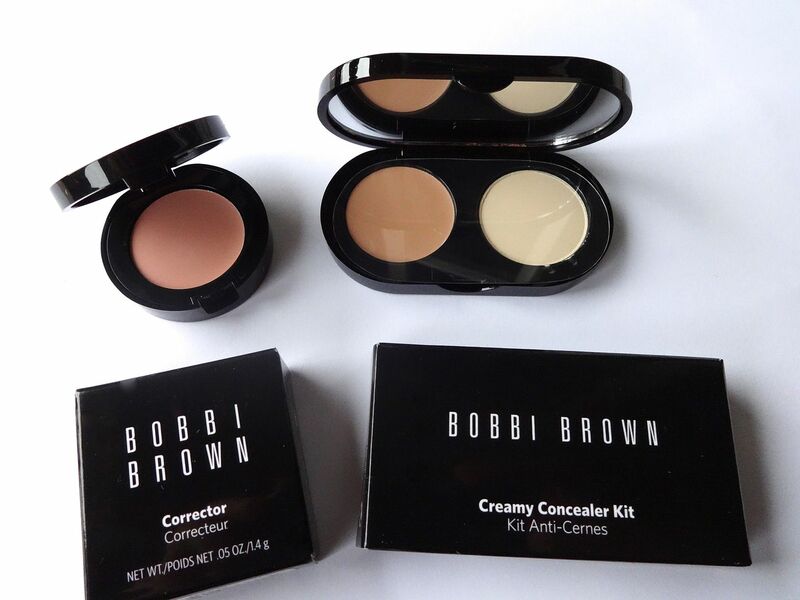 Bobbi's Creamy Concealer blends easily to instantly cover, lift and brighten dark circles. It also helps maintain skin's moisture levels for a smooth, virtually line-less look. Fuss-free pressed powder sets concealer for long-lasting wear. Concealer Kit (Medium Beige) - This concealer is so different from my last under eye concealer "fake up" by Benefit it actually reminds me a little of Benefit's Boi ing concealer in texture, as it's not as fluid or moisturising as fake-up, but this concealer is designed to be a lot more of a high coverage concealer. I was worried this would feel cakey in comparison to Fake Up, but actually its not too bad at all! obviously I do need a better eye cream with this one, but the coverage it gives is absolutely amazing. I also find that it hardly creases at all, even when used with the corrector! The Yellow powder is also handy, and I like to sweep this over my eyelids to help correct the tone, as well as just making them look a little more perky! just what you need on these horrible cold mornings haha. If you are looking for a corrector/concealer that really does hide dark circles then these two products are probably a very good place to start. I have been amazed at how well they work together and the lack of creasing *woohoo*, as well as having amazing longevity. 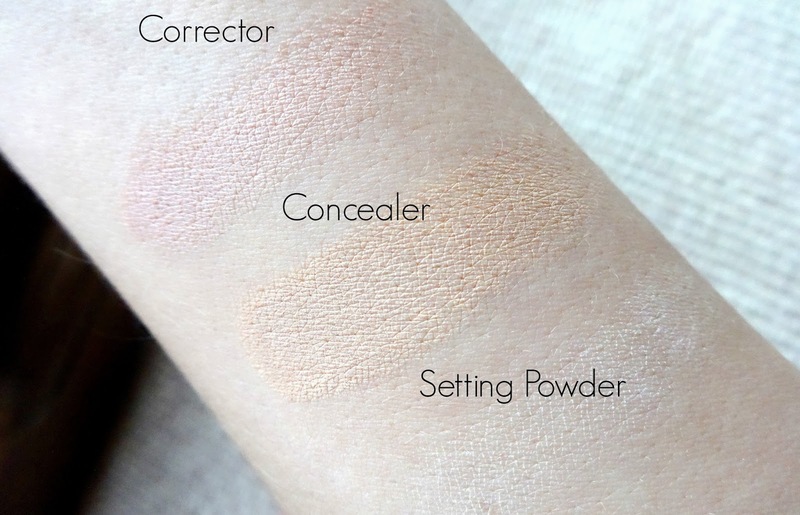 You probably could get away with just buying the concealer if you didn't want to splash out on both, but the corrector is by far the best I have tried from any other brand and I really do recommend it. The only thing I can think of is that it might not be moisturising enough for some people, and it can be quite hard to work with without a brush. However, a good eye cream can easily sort that problem! I have been using Origins Eye Doctor, and I have had no problem with dryness at all. Overall, if you are looking to make your dark circles vanish for the day, then these two products are so good! I also think this is a great concealer to use when you are working, as it does pretty much stay put all day long. I think the packaging is lovely and sleek, and I have been loving using these two products together to create a flawless under eye area! I always have dark circles lately so I really should invest, I need to buy a nice eye cream too so if doesn't get too dry. Must check these out though! These look lovely and something for me to check out! I have been loving concealers especially for under eyes so this should do the trick. Boydy is god, we all love Boydy! Don't lose confidence sweet - you've got a gorgeous blog! Don't lose confidence, I think it's natural to have ups and downs every now and again. I really like your blog, always some good posts when I pop on.